Earlier, I described the hushed, clean zone of the pre-press department. Beyond the double doors, it is a different, almost primitive world with scenes straight out of the devil’s kitchen, a place moreover that often smells like a glue-sniffers’ convention. But above all else, this is a world coloured by one thing: the noise of many huge lithographic printing presses tirelessly grabbing, inking and ejecting thousands of enormous sheets of paper. My first impression of such a ‘print shop’ was incredulity. How could anyone work in such punishing, epileptic noise? Of course, us visitors were the only ones listening. The shop-floor staff at this Danish printing works all wore headphones and went round in a calm, deliberate manner. For all I know, they were all listening to Mozart. This Danish print shop was immaculately clean and tidy, moreover. This is quite a different picture from some of the printing works I have visited in Asia, for instance, where the work situation can be dismal. Certainly, I rarely saw headphones there and I shall never forget the sight of two miserable-looking workers enveloped in a haze of chemical dust as they shovelled a mountain of paper offcuts into rubbish bags. Even at the smallest printing works, there are likely to be quite a few different printing presses. This is because it is vastly cheaper to use a press for one type of job all the time as it avoids the need to continually strip, clean and reset the machine after every job. Such down-time is incredibly expensive. Of course, many printers want the latest shiny new toys and you can be sure that the latest German wunderprinter will be found even in the back streets of Chennai or Lima. 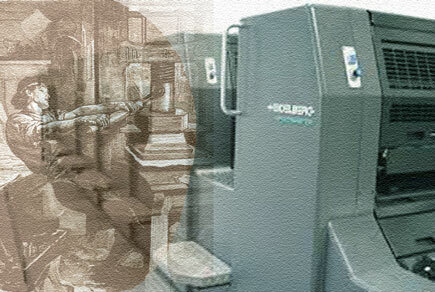 Old presses take a long time to die, however, so all too often right next to the newest machine will be a press that is many decades old but still capable of churning out high-quality work; it too will fill a production niche. There are, besides, different types of printing technology (and this of course is changing rapidly). Newspapers and magazines are printed on presses loaded with giant rolls of paper, for instance. But for book printing what you will typically see used is a sheet-fed printing press, i.e. the machine is loaded with a huge pile of giant sheets of paper that are then grabbed and pulled through the press, ink being applied in the process. 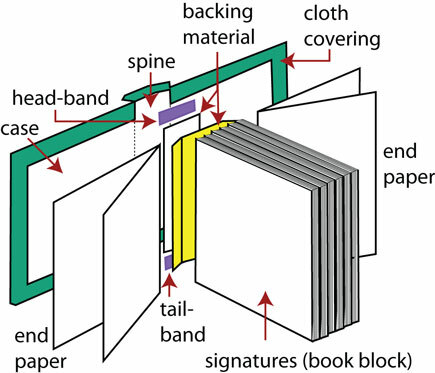 Moreover, the mini-setup/changeover between plates and sheets (described below) also takes time; that said, printers generally have developed routines and rhythms that allow this work to be carried out very efficiently. However, once everything is set up, copies can be printed off at a great speed and with very little additional cost. This has huge economic implications. There is a high initial setup cost to be distributed over the number of copies printed at low individual cost. The more books are printed, then the lower the share of initial costs applied to each copy. Offset printing is thus good value for print quantities of hundreds or thousands of copies, but ruinously expensive – indeed technically almost impossible – if you only want dozens of copies (let alone just a single one). If the number of copies to be printed is less than 400, then print on demand (using giant, glorified photocopiers) makes the most economic sense. Sitting uncomfortably between POD printers and the big printing firms that churn out tens of thousands of copies in each print run (they are the printers of the Harry Potter books, for instance) can be found short-run printers. I remember a few years ago hearing such a British printer specializing in academic books complain that in earlier times 1,500 copies was regarded as a short run; now (such was the collapse in academic book sales) a short run was 400 copies. And yet the publishers still expected to pay less per copy than they had before. This printer looked old and tired. It’s not nice being in such a squeezed situation. After initial setup, the real work begins. If it is a monochrome job, the process is relatively simple. First, one side of the sheet is printed then a new plate loaded and the other side printed. (Modern duplex printers are able to print on both sides of the sheet simultaneously, being able to hold all of the plates required for printing a single sheet.) This process continues until all sheets are printed, each stacked separately. A typical academic book that is 288 pages in length would have 18 such stacks each of which eventually will be folded into signatures. Colour print jobs are more complex because for each side of the sheet, four separate printing plates have to apply their own coating of cyan, magenta, yellow or black ink. Obviously, the colours have to line up perfectly, hence the vital importance of registration marks placed around the margins of each page to ensure pinpoint accuracy. The presses do not run unattended but are policed by an operator (maybe even a master printer) who will periodically remove sheets from the printed pile to check them for problems. This quality check is not only for colour registration but also things like sharpness and ink density. All such sheets are discarded after inspection; they are not returned to the pile. As such, it is difficult to print the exact number of copies ordered. Indeed, printers always print quite a few extra copies (perhaps 10% of the total printrun) with there being a fair few overs above the number of copies ordered. For this reason, printers usually offer two figures in a printing quote: one price for the exact number of copies being quoted for and another price that includes an extra X run-on copies at a discounted price. Yes, this is a wasteful process and arguably the term ‘green publishing’ is a contradiction in terms. But that is the subject for another post. Meantime, it is time for all of those piles of printed sheets to move on to the bindery, the location of my next post. There are many types of printer, as we have seen, but your book is being printed for the first time. Chances are, then, that it will be printed by an offset printer, taking form in a rather scary, noisy place where huge lithographic printing presses tirelessly grab, ink and eject thousands of enormous sheets of paper every minute of the working day. Hell’s kitchen is not where the work begins, however, not where the print files for your book arrive from the publisher. No, the first stop is paradise. More than likely, your print files will be delivered to the printer via the internet (though not by e-mail; the files are usually too large). But let’s pretend in your case that everything is on a DVD coming to the printer by courier. Today, it’s Hasan making the delivery in his brightly painted courier van. He knows where to go, skirting the tumult of the print shop, dodging a fork-lift truck loaded with paper, and arriving at reception. Mrs Khoo is on the phone and, seeing the envelope and its contents description, silently begs that Hasan deliver it directly upstairs to the pre-press department. He doesn’t mind; Mrs Khoo looks just like his auntie. The din of the printing presses follows Hasan up the stairs but, at the top, there are double doors. Behind them, all is hushed and a shoe rack reminds Hasan to remove his shoes; this is a clean zone sealed off from not just the noise but also the dirt of the outside world. In front of him is what looks a bit like a gamer’s paradise: a series of rooms in which he glimpses big-screened Macintosh computers and all manner of other strange equipment. Nor are the people here like the solid, chunky guys wearing overalls you see downstairs; no, frankly, they look like office workers. Indeed, some of them could be the kids you see downtown in the video game arcades and internet cafes – nerdy types. Welcome to the pre-press department. Hasan has gone now, together with his shoes, but your book files remain and already they are being loaded onto the pre-press server. 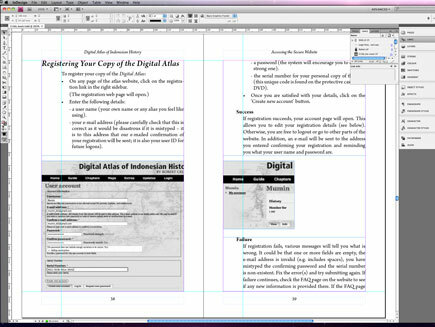 Essentially, from this point, the PDF files delivered from the publisher are prepared for printing. A key process here is imposition, whose purpose is to remap the linear sequence of pages onto giant sheets of paper that ultimately will end up as 16-page signatures. This mapping is complicated because the original pages must be scattered, turned and placed on the sheet so that, when it is printed on both sides, folded and trimmed, the 16 pages appear in their correct sequence and orientation. The following diagram probably explains this better. Just how the whole process is achieved depends a bit on how sophisticated the printing company is. Twenty years ago it was common for the typesetter to output to film, which was then manually imposed (or ‘stripped’) on a light table to create the sheets. (Indeed, camera-ready copy was also common at this time, i.e. laser-printed pages were cropped and stuck together inside a sheet-sized frame and then filmed.) Today, however, digital processes exist that quickly and accurately automate the imposition process. Once the sheets have been created, the final printing plates can be made. Again, traditionally this was done via an intervening step using film but increasingly the direct computer-to-plate process is used. Whatever, the end result is a metal or paper plate on which a mirror image of each book page is etched and then – by the application or repulsion of ink – reproduced as a positive image on paper during printing. The above description implies there is only a single plate used to print each side of the signature. But, if pages are coloured (i.e. more than black, white and shades of gray), then additional plates are needed. 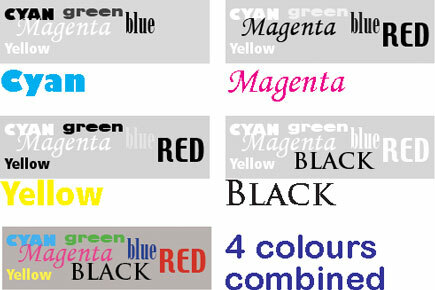 These days, typically four plates will be used, one for each of the CMYK process colours (cyan, magenta, yellow and black [key]) on which the printed colour spectrum is based. Otherwise or in addition, spot colours (specially mixed to a specific hue) may be used. 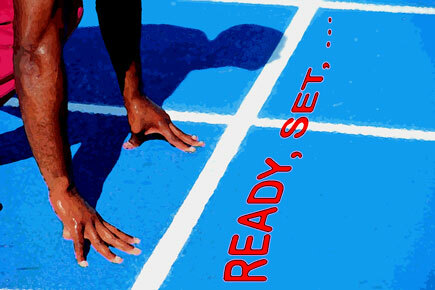 Once the printing plates are ready, your book is ready to print – yes? Well no, actually, because I’ve rather jumped ahead of things. 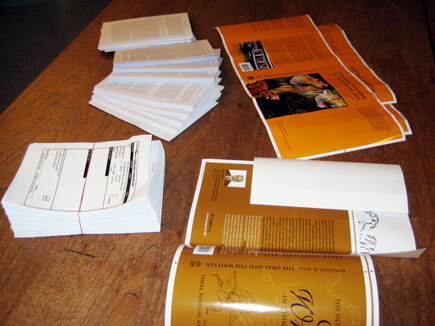 At the time the signature files are created, specimen proofs are printed off and sent to the publisher for approval. I’ll describe these printer’s proofs in greater detail in my next post. Winter this year in Copenhagen has been cold and snowy (and I’m sick and tired of shovelling all that white stuff; the searing heat of Bangkok tomorrow should be a shock). Overcoats are seen here far more than is usual, some looking more comfortable than others. An index is like an overcoat: too small and its squeezes its wearer in a wrestler’s clamp, too big and it lets the cold air seep in underneath. A year or so ago, we hired someone to index one of our books. He was very good, very thorough, and also flagged up a number of typos and inconsistencies in the text that had been missed. There was a problem, however. The index delivered was 64 pages in length (about 23 typeset pages), the maximum amount of space available 12 pages. Drastic cuts were made. A key lesson we learnt from this experience was to be (even more) clear about how long we expect an index to be. In your case, your production editor should know how many book pages are available for the index. 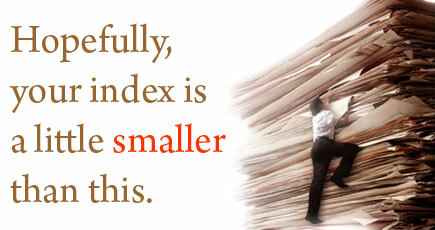 Make sure that you are informed about this before you start indexing. Is there any real limit to how long your index should be? Yes. In fact, there are several factors at play here. Perception. Indexes are like books: if too short, they may be treated with disdain (a 2-page index may be seen as pathetic and laughable) but, if too long, they may be regarded as unwieldy and ‘over the top’. What is physically possible. Books tend to be sized in multiples of 16 pages because that is how they are printed (on big sheets of paper holding 8 book pages on each side; more about book length here). If (say) the total extent of your final proofs is 276 pages including prelims, then no more than 12 pages will be available for the index (or 28 pages if an extra 16-page signature is to be used). Flow-on effects. In the above example, no publisher will agree to an index that when typeset fills 13 pages and causes there to be 15 blank pages at the end of the book. What has been announced. A 12-page index is quite reasonable, even generous. In the above example, it would be unlikely that an index longer than this would be permitted if the book has been announced as being 288 pages in length. Of course, there is a confusion and potential trap for you when I talk about ‘pages’ above. The number of typeset index pages is not the same as the number of ordinary (A4 or US Letter) pages on which you prepare your index in Word or another word processor. Typeset indexes are generally set quite tight in a smaller font size and laid out in at least two columns whereas more than likely your index will be prepared in 12-point Times Roman with generous line spacing. As such, your typesetter should be able to fit a bit more than two of your word-processed pages onto one typeset page in the book. As a rule of thumb, then, if told that you have (say) 8 pages available for the index, then you can count on having 17–18 pages in Word for your index (though obviously not single-spaced in a tiny font size). If the amount of space is too little or (in some ways, worse) too much, then there may be an issue of what (how much) you are indexing, the subject of my next post. If so, re-evaluate your situation and – if not resolved – contact your production editor urgently.